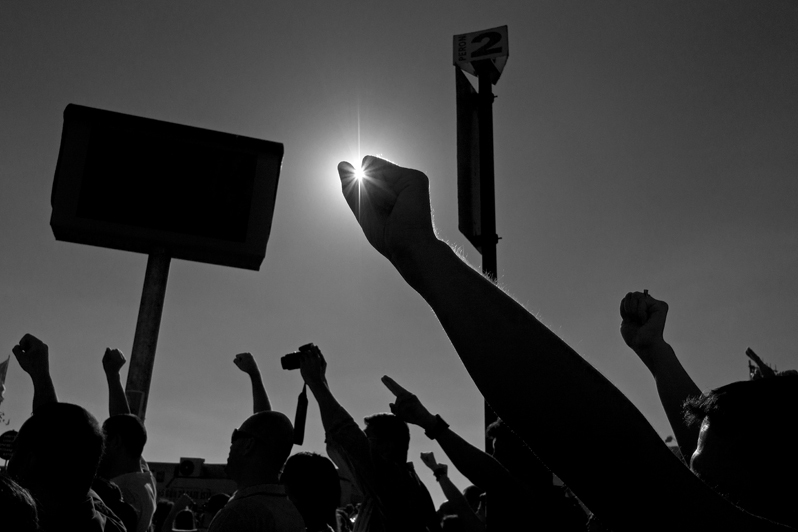 A silhouette of raised hands and placards against the sun. Following up on the pay discrepancy grievance that was filed by the union on July 9th, CUPE 3903 executive and staff members met with representatives from Faculty Relations on August 25th to discuss the further steps the Union expects from the Employer. The Union repeated its demands stated in the grievance and asked the Employer to take serious steps towards compensating the hardships that our members have been made to endure, and the time and energy that the Executive and staff members have devoted to sorting these out. Barry Miller, Executive Director of Faculty Relations, stated that the Union would receive the Employer’s reply to our grievance by Monday, August 31st . The last payment on August 25th should have made every member whole. This means that everyone should have received the totality of what they were owed this summer. Members may need to go back, check their payment amounts (May 25, June 10, June 25, July 25 and August 25), and calculate the total of their payments to ensure that FGS delivered what it promised. If you suspect that there is still a discrepancy in your pay, please contact cupe3903csu1@gmail.com or cupe3903csu3@gmail.com. If you are unsure about what the total amount of your payment should be, you could check the breakdown of summer payments by unit here. A thorough analysis of the pay discrepancy reveals that York has failed to deliver almost $650,000 over the course of the summer. We owe many thanks to our members who have stayed alert to the Employer’s attempts to claw back income and helped their union representatives to fight these attacks. However, the fight is not yet over. It is clear to everyone that the amount York held back from our members is enormous. CUPE 3903 is determined to not let this go and make an example of this pay fiasco so that it will never happen again. Now, following the spirit of our successful strike, we have to show the Employer how serious we are about protecting our hard earned rights and gains. It is time to start organizing and show the strength of our union even more clearly.